I’m sitting in bed in a modern hotel room in The Hague – that famous city known for tribunals and the Peace Palace. There is much I could write about this city from the small amount of time I’ve been here, but it is nothing compared to what I could write about the people and new friendships budding at Families in Global Transition. From sun up until way beyond sundown my heart has been full – of laughter, of reconnecting, of amazing conversations and new connections. But most of all, full of the best sort of belonging. My favorite moment of the day came in mid afternoon, when in a crowded room I ended up with a Pakistani adult third culture kid living in Dubai, and a Dutch adult third culture kid raised in Pakistan. In the middle of a crowded room two people I had never met were immediate friends through country and experience. It was more than amazing – it was pure joy. In a television show called “Friday Night Lights” a high school football coach works to make his football team the best they can be. Before every game, this group of teenagers, who come from many different family situations, gather for one purpose: to play their absolute best, to play with their hearts. The captain of the team leads them in what becomes a resounding cry in the show. Clear Eyes, Full Hearts. Can’t Lose. And that is how I feel tonight. Clear Eyes, Full Hearts. Can’t Lose. 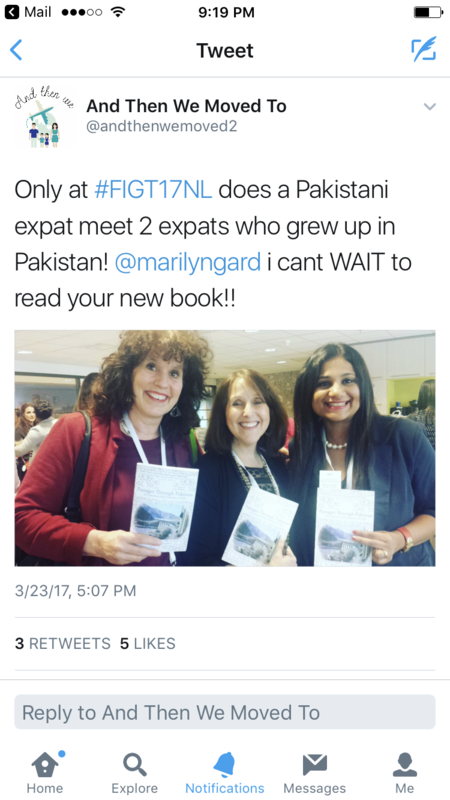 Note: check out Mariam’s blog: And Then We Moved To… – it’s great! So glad you are having such a good time! Wish I could be there. Thank you, Marilyn. I work with refugees in my current ‘home’ community. Most of my colleagues, want to ensure that refugees feel a sense of belonging…..given my background as a TCK, I tend to balk at this for the reasons you point to here. They resonate with me but, that those who have experienced the same upheavals, although so much more tragic and forced may not want to or ever feel they belong. I want to suggest that it’s OK not to! We can still be productive members of our new society. I find myself up against a lot of opposition as belonging seems to be the ‘holy grail’ that everyone searches for….why can’t we simply ‘be’ and hopefully feel at peace and safe at last?! Catch up on the latest posts! Follow Communicating Across Boundaries on Facebook!